As we head into the last few days of Summer, it is hard to not look back at the summer and reflect. Did we take enough time to spend time with friends and family and enjoy the little things, or were we still caught up in work, chores and running the kids back and forth from camp and soccer? It's so easy to let time slip away and for us to forget to take a moment for ourselves. With September knocking at our front door, this is when we feel a need for a fresh start. Kids are going back to school, crisper mornings as we head out the door and Starbucks bringing back the beloved Pumpkin Spice Latte. So this, I ask you...the ones who have always watched a pipe band on parade and that voice in the back of your head whispering, "How cool would that be?". 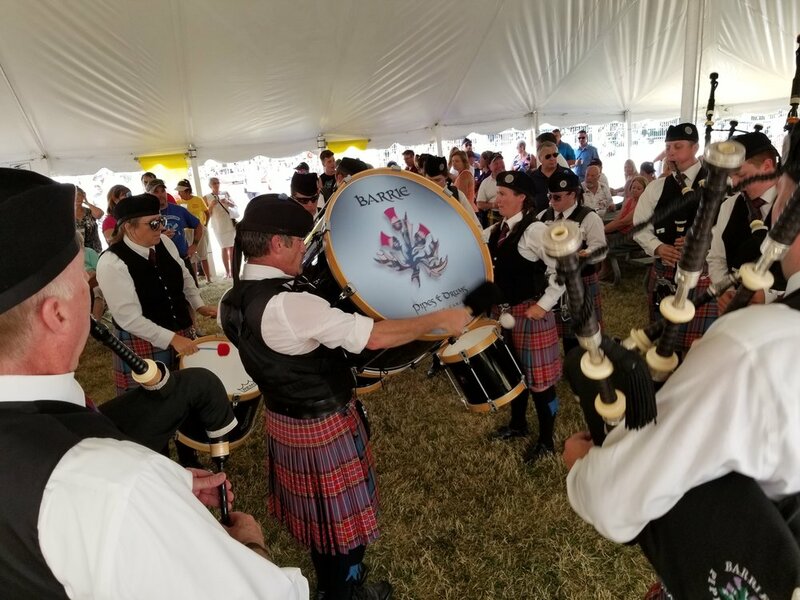 Or maybe you've watched a local Highland Games and witnessed first hand the anticipation of a pipe band stepping onto the field for competition and battle over the day's trophy and thought, "What a team to be a part of!". Maybe you played bagpipes or drums back when you were younger and they've sat in the closet for a few years. For all of you, I say, if not now, then when? Now is the opportunity to finally take time for yourself and listen to that voice in the back of your head and come see what we are all about. Join us at our Open House, come meet our instructors and leaders see how we practice and learn how you can be a part of our organization. We offer free, weekly bagpipe and drumming lessons. And for those who are seasoned, we offer no membership fees and your uniform is supplied.